The medium frequency induction vacuum furnace is a complete set of vacuum smelting equipment which USES the principle of medium frequency induction heating in the condition of vacuum. It is the main role in the production of titanium alloy, ultra high strength steel and high temperature nickel base alloy and stainless steel and so on all kinds of special alloy materials important smelting equipment, automatic control system of vacuum induction furnace is the main part of the will directly influence the yield and quality of the products. Vacuum induction furnace is mainly by the furnace, furnace lining, automatic control system and combustion system and other parts, and in vacuum induction furnace electrical circuits will join a capacitor, this is mainly because the distance between the induction coil and the metal charge is larger, the situation of the magnetic flux leakage is very serious, but less useful links, magnetic, reactive power is larger, so, in a capacitive circuit, current to be ahead of voltage, and in order to offset the effect of the inductance, improve power factor, it must add appropriate capacitor in loop, so you can let the capacitance and inductance parallel resonance occurs, so as to improve the power factor of the sensors. 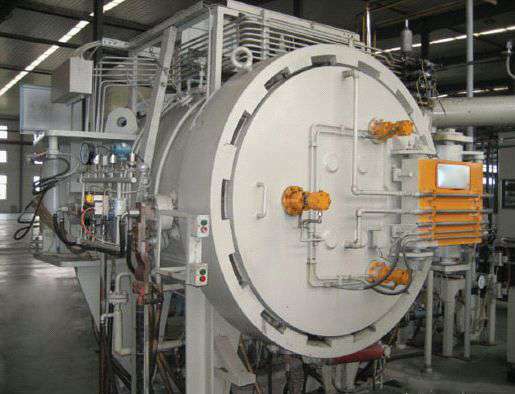 In vacuum induction furnace smelting artifacts when there will be a melting period, in the melting period inside, go to be processed workpiece material, low melting point metal impurities and harmful gas, purify nonmetallic inclusions, adjust the temperature of the alloy liquid, and place it under the vacuum degree, enough to create conditions for refining period.